All invoices for your company can be located by logging into Appointlet and browsing your invoice history. 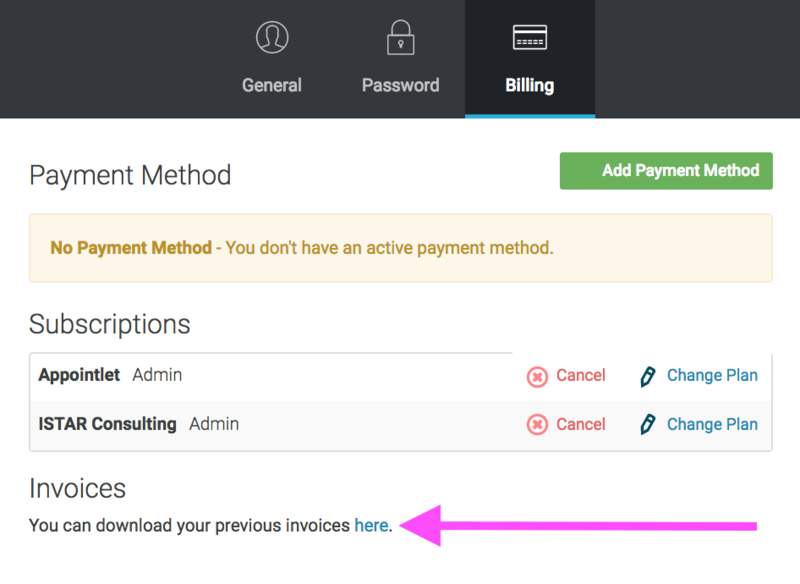 At the bottom of the screen you will now see a section for Invoices and a link to download your previous invoices. Once you follow those steps you will have full access to your invoice history. Do you need to add more information to your invoice such as your address or VAT? You can do so from the Billing History screen by clicking on Receipt Settings in the lower right. Enter the information that you need and click save. That information will now appear on your invoices.